LUXEMBOURG – The towering, rusty blast furnaces of the industrial wasteland in Belval stand in stark contrast with Luxembourg’s fairy-tale image of wealth and stability. But the former industrial area about 20 kilometers south of Luxembourg City is undergoing a radical metamorphosis. Where the country’s largest steel works once spewed smoke into the sky above the French border, the government has been erecting an entire new neighborhood, aiming to position Luxembourg as Europe’s next hub for technological innovation. Behind one of Belval’s blast furnaces, at the heart of the ambitiously named City of Science, sits Technoport, the national tech-oriented incubator. Anyone with a business idea can apply to have it evaluated there, and undefined if the idea is deemed viable undefined Technoport offers access to its sleek collaborative spaces and guidance in setting up a business plan. Ideas take shape with a rented laser cutter or 3D printers in the Fab Lab, a digital laboratory that is part of a growing global network introduced by the Massachusetts Institute of Technology’s Center for Bits and Atoms. Power hubs, suspended from high ceilings in the communal spaces, guarantee that the juice never runs low. 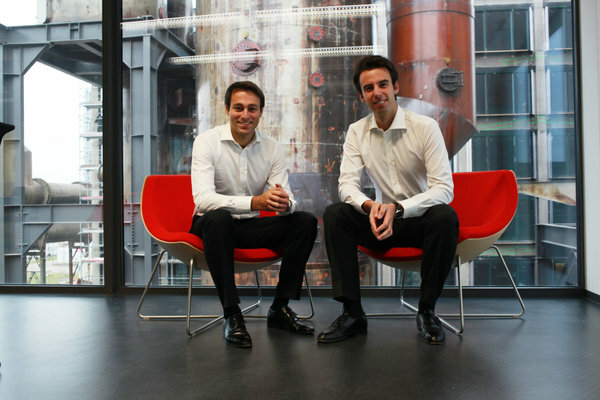 One of the incubator’s hopefuls is All Square, a social network for golfers founded in December 2012 by Patrick Rahme, 26, of Luxembourg City, and Arthur de Rivoire, 25, of Geneva. The two entrepreneurs have received free coaching at Technoport and will move into an office there this year. In December, a partnership between the Luxembourg government and the Plug and Play Tech Center, a “business accelerator” in Sunnyvale, California, sent the entrepreneurs on a three-month mentoring stint through Silicon Valley. The road to the most hyped of all tech hubs might have been rockier had they started out in a different European country, Mr. Rahme said. Europe has other technology hubs, many of which are at more advanced stages of development. Helsinki, Stockholm and Berlin all play host to a booming tech scene, while France has created several small incubators and Britain is talking about offering incentives to create a Silicon Alley similar to New York’s. But Christophe Folschette, a co-founder of Talkwalker, a social media monitoring tool here, said Luxembourg’s tech scene reflects the particularity of the tiny Grand Duchy, and can’t be compared with its competitors. With a population of a little more than a half million, smaller than most European capitals, Luxembourg offers less waiting time for prospective businesses. Laurent Kratz, a co-founder of Jamendo, a platform for free music that has more than one million members, said Technoport helped connect his start-up with the Ministry of Culture, which then invited Jamendo to the Luxembourg Pavilion at Midem, the annual music industry conference in Cannes, France. “Here in Luxembourg, you make two phone calls and two weeks later you have an appointment,” Mr. Kratz said, adding that in France, his home country, easy and quick access to government departments was unimaginable. While Rovio and Soundcloud generated the buzz necessary to turn Helsinki and Berlin into booming tech hubs, Luxembourg has become the place where successful start-ups move after they have hit the big time. Young entrepreneurs with big ideas and empty pockets, however, must raise around 12,500 euros, about $17,000, to create a limited liability company in Luxembourg, a detail that prevents the kind of garage entrepreneurship made famous by Steven P. Jobs and Steve Wozniak, say, at Apple. Mr. Castilho is campaigning for the introduction of the 1-1-1 company, a low-cost structure that could be created by one individual in a day, with only €1. The capital of €12,500 would have to be generated within five years. Similar structures are already in place in Belgium, France and Germany. Another hindrance is that college graduates often seek out highly paid state jobs, with entrepreneurship remaining a rare choice. Around 42 percent of Luxembourg nationals work in the public sector. As a result, the multilingual country’s expatriates and frontier commuters are the driving force in the start-up community. But the country’s tech infrastructure is in place. Luxembourgers now surf at faster speeds than Germans, Britons and Americans, according to Net Index, and the World Bank says the country has more secure Internet servers per million than France and Finland. “We have now managed to build a unique selling proposal for people who want fast and secure lines and data centers,” says Jean-Paul Zens, director of media and communications at the Ministry of State. Low taxes are also an incentive: Up to 80 percent of net income generated from intellectual property undefined which can include copyrights, designs and domain names undefined is tax free. Government grants target young innovative start-ups, which could receive matching funds of up to €1 million. Even private initiatives, like Luxembourg Business Angel Network and the Impactory, a communal space that organizes workshops and classes, have close links with the government, creating a small but close-knit network of institutions promoting and supporting entrepreneurship in Luxembourg. Europe4Startups, KPMG’s K-Start and PwC’s Accelerator have sprung up, aiming to attract international startups. Luxembourg’s push to attract tech talent is also a drive for a more diverse economy. This comes in a time of looming international reforms. At the moment, e-commerce giants like iTunes, Amazon and Ebay register their sales of digital products made in Europe, Africa and the Middle East in theGrand Duchy. From 2015, however, those sales will be taxed where the customer is based, not the supplying company. This reform of the European Union’s Value Added Tax regime on digital services could cost the country an estimated €700 million in tax revenue, or 1.4 percent of Luxembourg’s gross domestic product. Another challenge in 2015 will be the easing of Luxembourg’s bank secrecy laws, which could result in €5 billion to €15 billion in private banking funds leaving the country, according to Statec, the national statistical institute. To counter these losses, Luxembourg has been focusing on establishing “knowledge-based industry.” While it still lags behind countries like Denmark, Finland and Germany in terms of research and development investment, the country increased its investments in public and private research tenfold from 2000 to 2013. The nation’s first and only university, founded in 2003, will play a crucial role in generating research spin-offs in Belval, as it is situated just a stone’s throw from Technoport and other research centers. 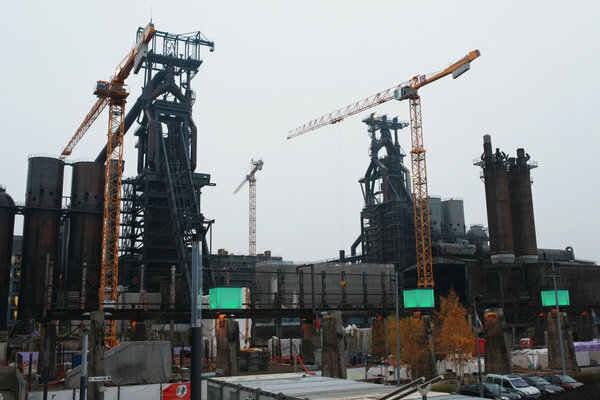 For now, however, many parts of Belval are still under construction. A growing number of networking opportunities like start-up weekends, app contests and workshops have attracted an active start-up community. Technoport, which hosts 27 companies, has seen a record number of applications in 2013. Recent trends are mobile payment apps, with several start-ups like FLASHiz, Digicash and PayCash launched recently. Research is also starting to take off, with the Luxembourg Center for Systems Biomedicine generating its first spinoffs last year. Far from their home turf, the entrepreneurs of All Square are immersing themselves in the bustling environment of Silicon Valley. The start-up has introduced its iPhone app and signed a partnership with Troon, a golf course management company. All Square’s temporary location in the world’s leading technology hub has its advantages. “To say that we, as a start-up from Luxembourg, are in Silicon Valley, changes everything for us in terms of marketing and how we are perceived,” Mr. Rahme said. Luxembourg will remain All Square’s official home, but, like many other up-and-coming European start-ups, they hope to gain a foothold in the States. “We want the management to be in Silicon Valley as soon as possible,” Mr. Rahme said.